"Education is an area that has been crying out for mindfulness. Schoeberlein's book makes a helpful contribution to a growing body of literature and curricula on how to bring secular contemplative practices, including cultivating kindness, into school systems. It's replete with techniques to help teachers ground themselves amid the chaos and tension of the classroom, and related techniques that teachers can use to guide students--helping them enjoy being at school, learn better, and get along well with others." "Reflection can become the new basic "R" of education, promoting social and emotional learning while cultivating resilience and resourcefulness in students of all ages. 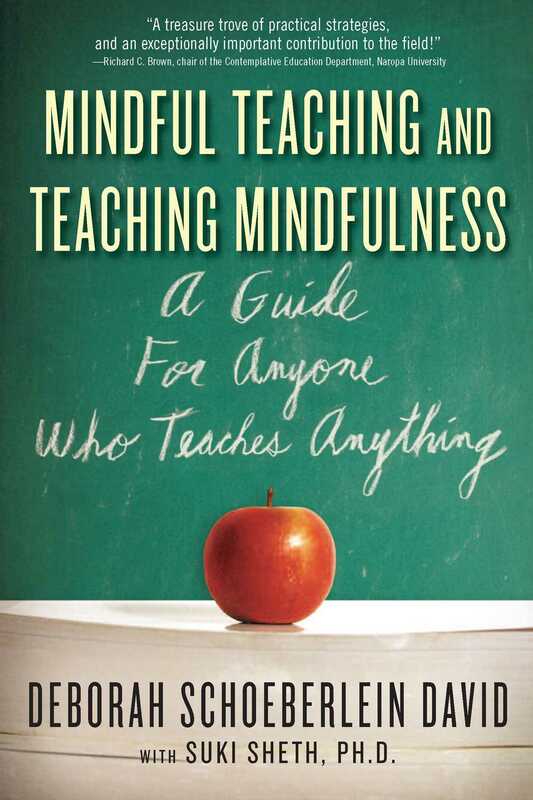 In this wonderful book, the authors have provided a user-friendly guide to developing a teacher's own way of reflecting on the nature of the mind and on becoming open to present experience--of being "mindful"--that can help develop reflection as a way of living and of teaching. Consider this book an invitation to try on a research-proven focus of attention that nurtures emotional balance, promotes bodily health, supports empathic relationships, and even strengthens the brain. What more could we ask for ourselves as teachers and for our students who deserve to be taught in a way the prepares them for life from the inside out?" "A gift for educators, helpful in any classroom, for any teacher and with every student." "This timely volume brings the teaching of mindfulness from the sphere of spiritual traditions into the purview of general education. Devoid of jargon and deeply enriching to students and teachers alike, this contemplative approach promotes new skills that lead to gaining focus, balance, and enjoyment." "A terrific contribution to understanding why mindfulness belongs in the classroom and a gentle guide on how to weave it into activities." "A wise and sensible guide, a generous gift to teachers and students alike." "A treasure-trove of practical strategies, and an exceptionally important contribution to the field!" "Many teachers often sense there is a mysterious element to their teaching, something that impacted their effectiveness even more than the material they were offering. This book reveals that element, and offers many specific ways to cultivate, harness, and incorporate it. A must-read for those interested in the potential of education." "A rich resource for teachers, school counselors, and faculty involved in preparing the next generation of educators. I can't wait to share this book with my colleagues and students." "Offers hands-on tools, exercises, and insights tempered by the voice of experience that help to build relationships with students and engage them in learning, and that will renew teachers' own energy, passion, and commitment."